WASHINGTON – July 30, 2015 – (RealEstateRama) — With the federal Clean Power Plan rule coming soon, states will have to begin planning for how to meet federal requirements to reduce carbon emissions. Housing should play a role in those plans because the built environment offers ways to not only reduce pollution but also reduce energy costs, improve health and make housing more affordable. 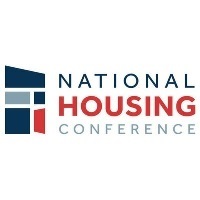 The National Housing Conference (NHC) urges states and housing stakeholders to ensure that energy efficiency in affordable housing becomes a part of every state’s plan. Making affordable housing more energy efficient helps everyone. Residents spend less on utilities, leaving more in the household budget for basics like food, health and child care. Properties save on operating costs and make long-lasting renovations. States cut emissions. 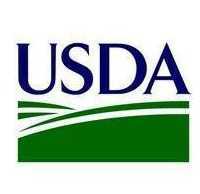 The federal government saves money through reduced utility costs. A recent study in nine states commissioned by Energy Efficiency for All found that states could reduce 15 to 26 percent of electricity usage over 20 years in multifamily properties by implementing cost-effective efficiency measures. Cost-effective in this context means real savings: the return on investment would be $2.90 to $3.50 per dollar invested. States have many options for how to include energy efficiency in affordable housing in their plans. They can create financing programs for energy efficiency based on tested models that can help affordable properties make the upgrades they need to cut utility bills for owners and residents. Loans or grants to properties, consumer incentives, regulatory changes and better coordination among utility providers all can work to increase energy efficiency. Some of these options, like utility ratepayer-funding, can only happen through state action, so the Clean Power Plan is a rare opportunity to make change. NHC along with several partner organizations is developing policy guidance for states to help them include energy efficiency for affordable housing in their Clean Power Plans, and we look forward to working with many stakeholders as this process advances. The National Housing Conference represents a diverse membership of housing stakeholders including tenant advocates, mortgage bankers, nonprofit and for-profit home builders, property managers, policy practitioners, Realtors®, equity investors, and more, all of whom share a commitment to safe, decent and affordable housing for all in America. We are the nation’s oldest housing advocacy organization, dedicated to the affordable housing mission since our founding in 1931. We are a nonpartisan, 501(c)3 nonprofit that brings together our broad-based membership to advocate on housing issues. Learn more at www.nhc.org.